Pulp mill operator, Celtejo (Altri Group), sued an environmentalist for €250,000 in compensation for his allegation that pollution levels in the Tejo River are unacceptable. His activity of disclosure and denunciation in the social networks of environmental crimes by pollution of the river Tagus has earned Arlindo Marques a legal action filed in by the company CELTEJO - Empresa de Celulose do Tejo, SA, belonging to the ALTRI Group, for offenses to its credibility and good name, claiming the payment of an indemnity of 250 thousand euros. In many of the situations reported and denounced there are strong suspicions that pollution in the Tagus river comes from Celtejo or from associated paper industries since this company was signaled by the Portuguese Environment Agency as a "significant contributor to pollution in the upper section of the Tajo ". 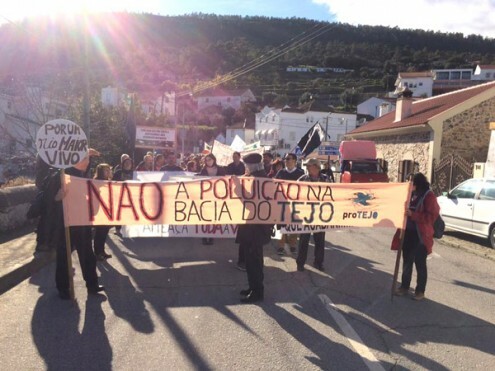 The attribution of responsibilities to this pulp industry linked to the eucalyptus row for pollution of the Tagus river was made publicly by numerous people, in particular by several public figures (politicians, deputies and mayors), and it is regrettable that Arlindo Marques has been targetted, a simple citizen without means to face this giant of the industry, and that have not been filed lawsuits against other public figures. This type of action brought against Arlindo Marques by Celtejo is internationally known as a "Strategic Public Lawsuit Against Public Participation" (SLAPP) and has already been used against other environmental activists such as Greenpeace itself, is an act of intimidation that tries to condition the constitutional right that all citizens have to freely express their opinion and the constitutional duty that all citizens have to defend the environment, according to Article 66 of the Constitution of the Portuguese Republic. 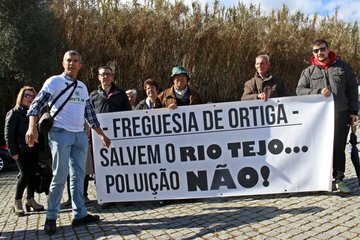 Speaking on 22 December 2017 to Radio Portalegre, Arlindo Marquês, who is an active member of the proTejo movement, said he highlighted the "pollution of the Tagus as an act of citizenship." (2). The prison guard turned environmentalist, known locally as 'the Guardian of the Tejo,' hit back at the company, accusing Celtejo’s management of "psychological terrorism" and of trying to silence him with its defamation case. 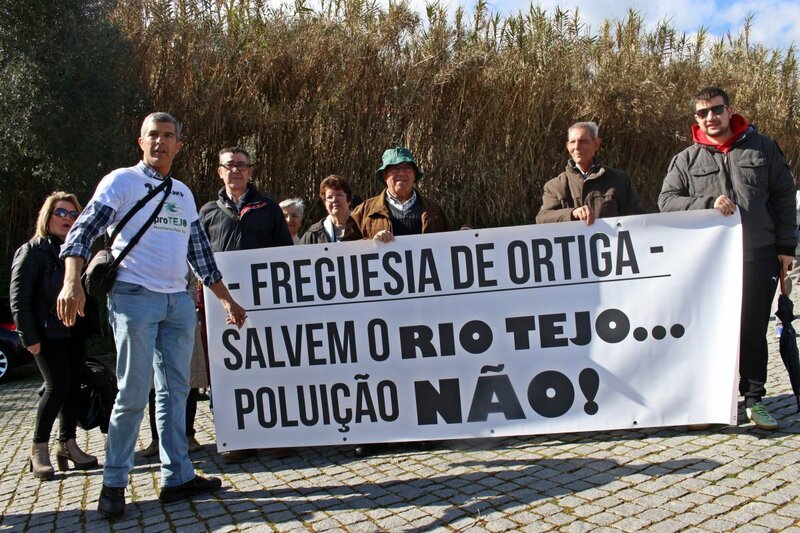 Despite feeling persecuted, Arlindo Marquês said he is not afraid and that he will continue to denounce pollution in the river Tagus, arguing that Celtejo should be compensating those families who had their livelihood linked to the river Tejo which the compoany pollutes. According to proTEJO, the origin of the pollution that killed millions of fish in the Vila Velha de Rodão area is from three companies, Celtejo being the worst offender. Project Details According to the company, "Celtejo Company belongs to Altri Group. Altri is an European benchmark producer in the pulp sector, one of the most efficient producers in Europe of bleached eucalyptus pulp.". Here a public letter describing the current conflicts in 2017-18.
" Solidarity with Arlindo Consolado Marques in the suit filed by Celtejo-Empresa de Celulose do Tejo, SA, of the ALTRI Group. Dear friends of the Tagus, Arlindo Consolado Marques, a member and secretary of the board of the Deliberative Council of the proTEJO, is a riverine citizen of the Tagus who truly loves the Tagus, having lived on the Tagus River and lived with the river throughout his life. Since the beginning of 2015 he has been reporting to the competent authorities the extensive and serious pollution that he began to observe on the river Tagus, which began recording on video and disseminating on social networks so that we could all know of the pitiful state that the river Tagus had arrived. In many of the situations recorded in video and reported by Arlindo Consolado Marques, there is a strong suspicion that the existing pollution in the river Tagus comes from CELTEJO - Celulose do Tejo, SA, belonging to the ALTRI Group, or associated paper industries since this company was signaled by the Portuguese Environment Agency as a significant contributor to pollution occurrences in the Tagus River. Unbelievably CELTEJO filed a lawsuit against Arlindo Consolado Marques for insults to its credibility and good name as a consequence of the denunciations that the same has made and divulged in the social networks on the pollution of the river Tagus, demanding the payment of a compensation of 250 thousand euros. This action against Arlindo Consolado Marques is an action against all the citizens of Portugal and Spain who defend the river Tagus and against all defenders of the environment, consisting of an act of intimidation that tries to condition the constitutional right that all citizens have to express freely their opinion and the constitutional duty of all citizens to defend the environment. Therefore, we must all be in solidarity with Arlindo Consolado Marques by committing us to take all steps so that he is not condemned for exercising his citizenship and for the action brought by CELTEJO to be an opportunity for a full clarification on the responsibilities for pollution of the Tagus River. This is the time to repay and join us all to help defending Arlindo Consolado Marques as he has defended the Tagus River and its tributaries. 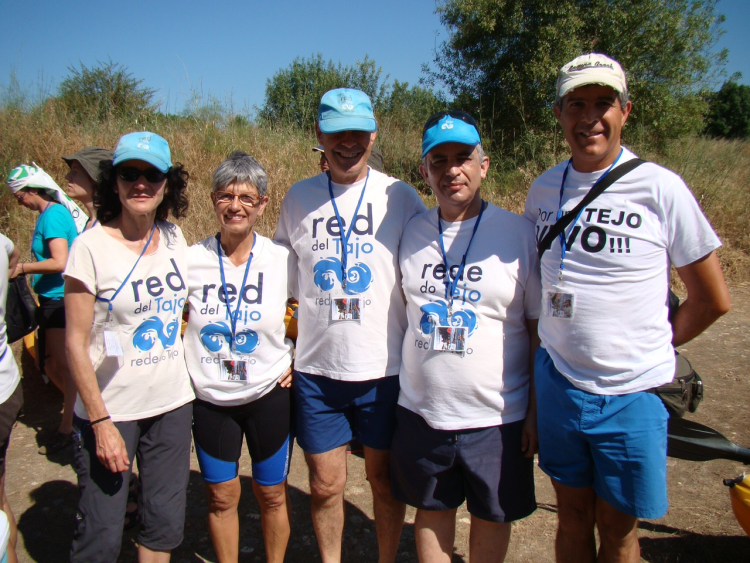 We call on all the citizens of the riverside communities of the river Tagus and its tributaries, in Portugal and Spain, to show solidarity now to help and defend those who, at the risk of their own lives, protect our rivers. Arlindo Consolado Marques deserves and the Tagus also deserves it! Company Names or State Enterprises CELTEJO - Empresa de Celulose do Tejo, SA from Portugal - Filed an action against Arlindo Marques for offenses to its credibility and good name, claiming the payment of an indemnity of 250 thousand euros. Environmental justice organisations and other supporters pro-Tejo, environmental justice organization. PAN, Portugal's Animals and Nature political party. Other Water pollution and aquatic ecosystems damages. Massive fish deaths (3). Why? Explain briefly. Celtejo is suing environmental defenders who complain about water pollution from cellulose production. Damages to fisheries from pollution estimated at 100 million euros over three years (4). Sou Arlindo Marques: contra a violação de direitos da parte da empresa CELTEJO. 31/01/2018. O GAIA junta-se à campanha de solidariedade com o defensor do rio Tejo Arlindo Marques , contra a repressão por parte da empresa CELTEJO. (4) O O Movimento Pescadores pelo Tejo reclama uma indemnização de mais de 100 milhões de euros à Celtejo em virtude da poluição no rio, ao longo dos últimos três anos. A queixa contra a empresa e o Estado português foi aceite esta quinta-feira no Tribunal Europeu, confirmou ao JN o representante dos pescadores. 2 Febr. 2018, Paulo Lorenço. População quis mostrar à Celtejo “que o rio Tejo não é o esgoto deles".